So in the middle of no where Madison Co we came across a very interesting bridge. 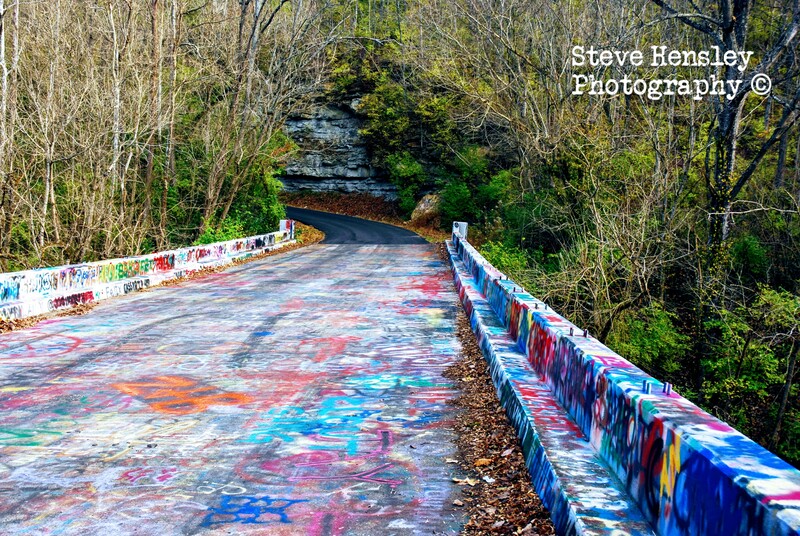 The bridge, known to locals as “Graffiti Bridge” is covered 100% in multiple layers of graffiti. Names, symbols, phrases, etc. 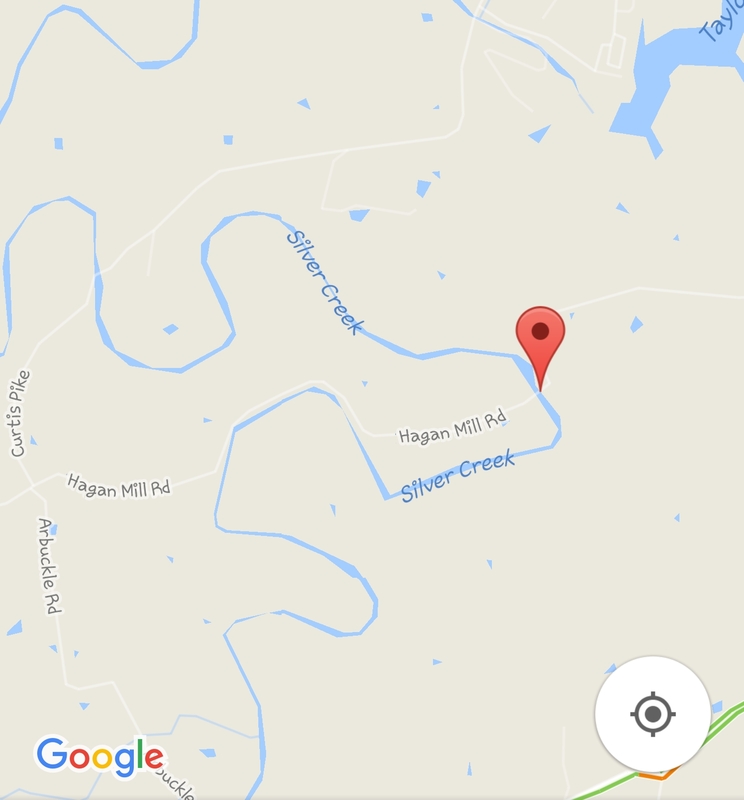 The bridge crosses Silver Creek on Hagan Mill Rd. 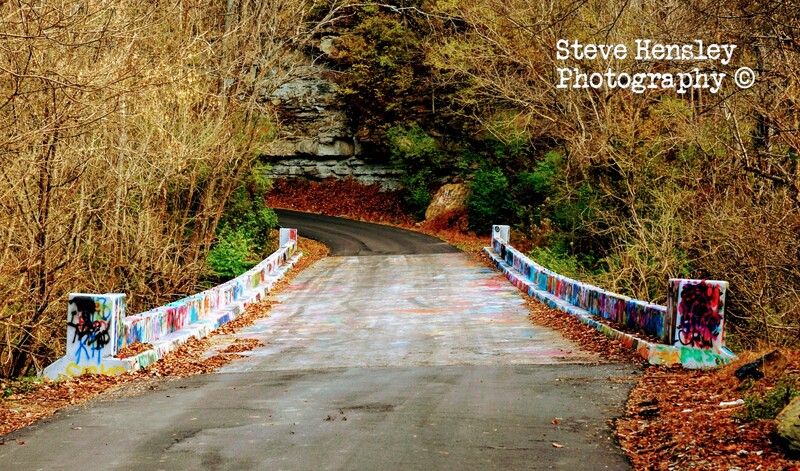 This tiny country road is a really nice drive, and exploring the bridge is completely worth the trip. Silver Creek itself is gorgeous and we found a large crane hanging out fishing. It’s readily obvious that it’s not some rowdy gang marking their territory, but kids taking part in a tradition. 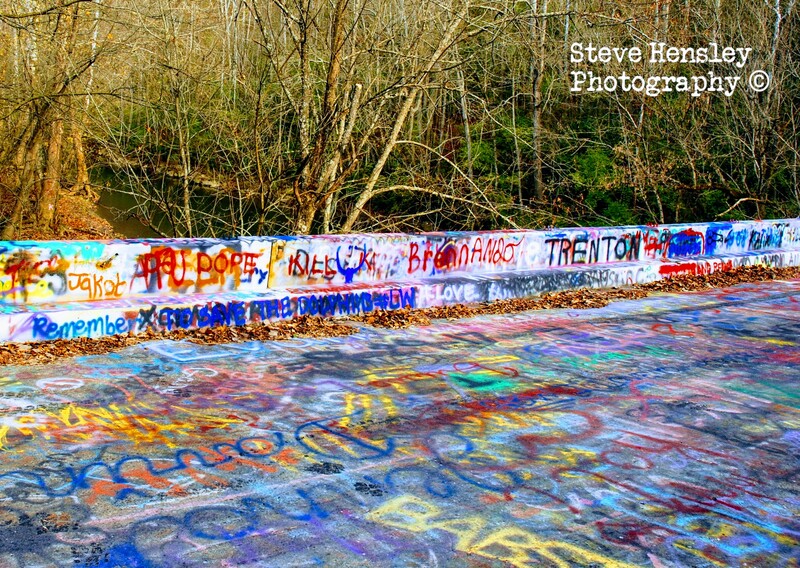 Names and Greek symbols make it appear that a lot of sorority and fraternity kids from the local colleges make the trip to paint something onto the already well covered bridge. 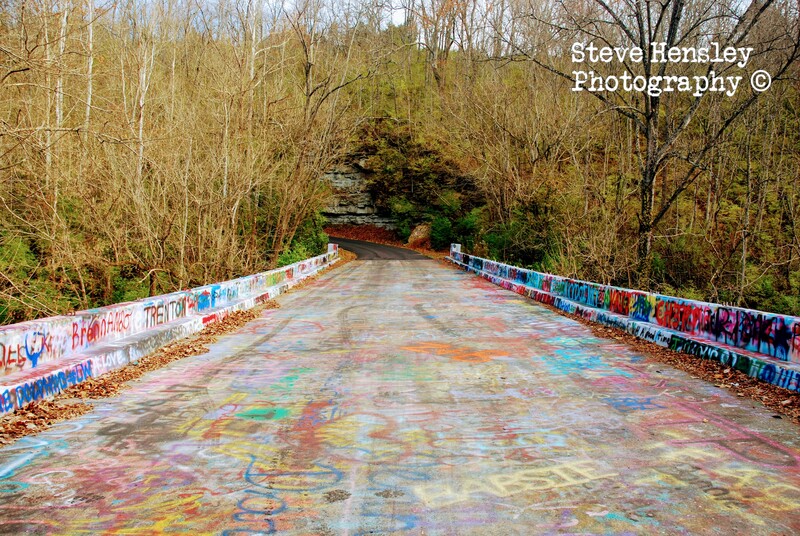 If your out for a drive around the county this is definitely something neat to check out.